The joys of owning a hot tub aren’t limited to entertaining party guests and spending time with loved ones, as an abundance of health benefits also exist. While some people have doubts over the effectiveness of hydrotherapy, numerous studies actually say otherwise. In fact, medical research proves that hydrotherapy can lead to better sleep, provide arthritis relief, reduce stress, help with diabetes, and lower blood pressure. Therefore, now is the time to capitalise on a hot tub for health reasons. In today’s 24/7 world a great many people struggle to fall asleep as quickly and easily as they would like. This is often due to the trials and tribulations of everyday life creating stress and weighing heavily on their mind. However, simply soaking in a hot tub before bed can increase your body temperature and prompt relaxation, making it easier for you to nod off. Even the National Sleep Foundation agrees, as it says to “establish a regular, relaxing bedtime routine, such as soaking in a hot bath or hot tub.” Strong words indeed! As a result, arthritis suffers will notice a reduction in swelling and pain as well as increased mobility. A study by Australian researchers published by the Arthritis Foundation also found that patients with knee and hip osteoarthritis reported significant improvements in pain and function after undergoing one-hour, twice-weekly hot tub treatments for 12 weeks. 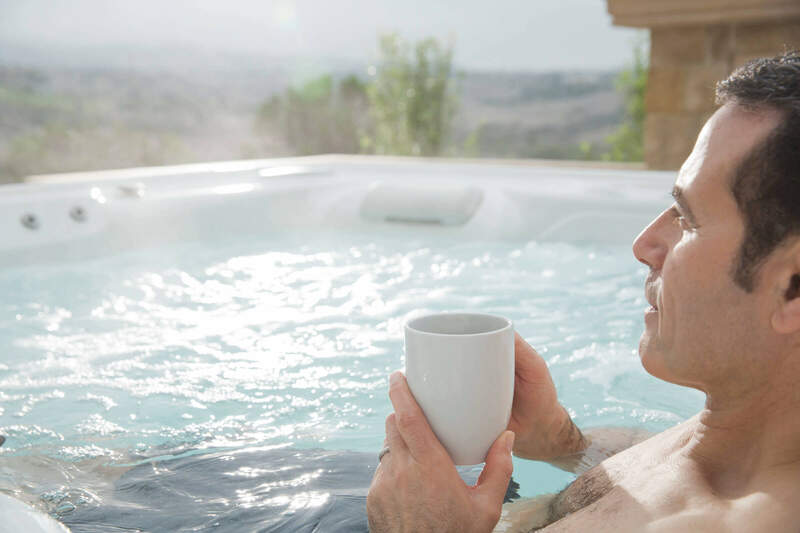 It is therefore pretty clear to see that there is a pattern emerging here of real and tangible benefits to using a hot tub for improvements in your health. According to statistics from the American Institute of Stress, 77 cent of people regularly experienced physical symptoms caused by stress in 2014. On top of that, researchers have estimated that as much as 80 per cent of disease is stress related too. However, relaxing in a hot tub stimulates the release of endorphins, which is the body’s natural ‘feel good’ chemical. The warm water and soothing massage jets can also relieve anxiety and relax tense muscles. It’s all more than enough to give you a warm feeling all over! You might be surprised to hear that a study published in the New England Journal of Medicine several years ago found that hot tub treatment helped diabetes sufferers. Participants that soaked in a spa for 30 minutes a day, six days a week, lost nearly four pounds of weight in less than a month without making any changes to their diet, exercise habits or other lifestyle factors. Good news we say! On top of that, patients experienced lower blood sugar levels, an increased sense of wellbeing, and better sleep patterns. Researcher Phillip L. Hooper said better blood flow from the hot water was the biggest reason for improvement. In a head-to-head benefits comparison of hot tub use and cycling among patients at risk of heart disease, Mayo Clinic researcher Thomas G. Allison made an interesting discovery. He found that soaking in warm water helped lower blood pressure, while cycling raised it to dangerous levels. Furthermore, hot water still raised the heart rate to similar levels as a cycling workout. Therefore, a spa soak provided a safe yet beneficial cardiovascular workout without the effort, traffic, and sweat of being on a bike. Contact HotSpring World to find out more about these health benefits for yourself.